HUNTINGTON, Long Island (WABC) -- Dogs up for adoption this weekend on Long Island have gotten a reprieve and are ready for new homes. The Little Shelter rescued 10 dogs from Korea where they had been raised for food in the meat trade. They were brought to a slaughterhouse, but a local rescue group partnered with Little Shelter and arranged to have them sent to the United States. 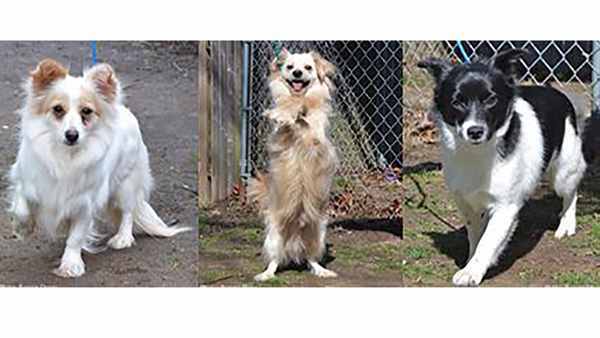 The dogs arrived Feb. 27 and are now ready for adoption. Most of the dogs from Korea will be available Saturday at the shelter on Long Island. The dogs are between 4 and 15 pounds, and range from 9 months old to 3 years old. They are very friendly. They are available starting at noon Saturday, at the Little Shelter, 33 Warner Road in Huntington, (631) 368-8770.